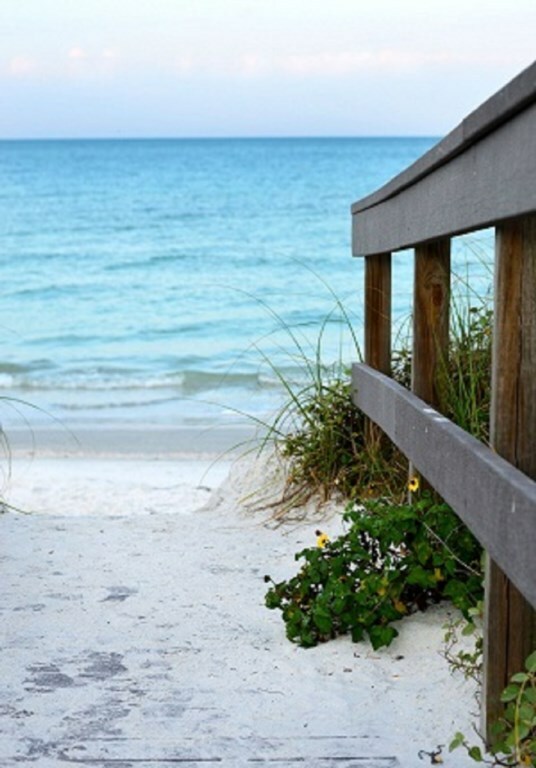 Welcome to Madeira Beach's finest luxurious vacation rental, 6West Beach Cottages. Whether you want to soak in the sun by the pool or on Madeira Beach’s 2.5 mile beach; walk or bike to John’s Pass Village and Boardwalk, the quaint fishing village featuring more than 130 unique shops, restaurants and a waterfront boardwalk overlooking the Intercoastal waterway and the Gulf of Mexico; or just relax on a lounger and leave all your worries behind, 6West is for you. The original structure, built in 1932, became known as “Hawaiian Cottages”. It was well used and in need of an extreme makeover. In 2016, the property was purchased and reconstructed from the studs to the rooftop. Each cottage was expertly built and crafted with design and durability in mind. Meticulous attention to detail throughout the reconstruction, the addition of a tropical courtyard featuring a heated pool, thoughtful design and selection of furnishings and art from local artists have guests from around the world rebooking another visit before they leave. Guests far and wide are drawn to this property because of the amazing location and proximity to the beach, only a few steps out the back gate. 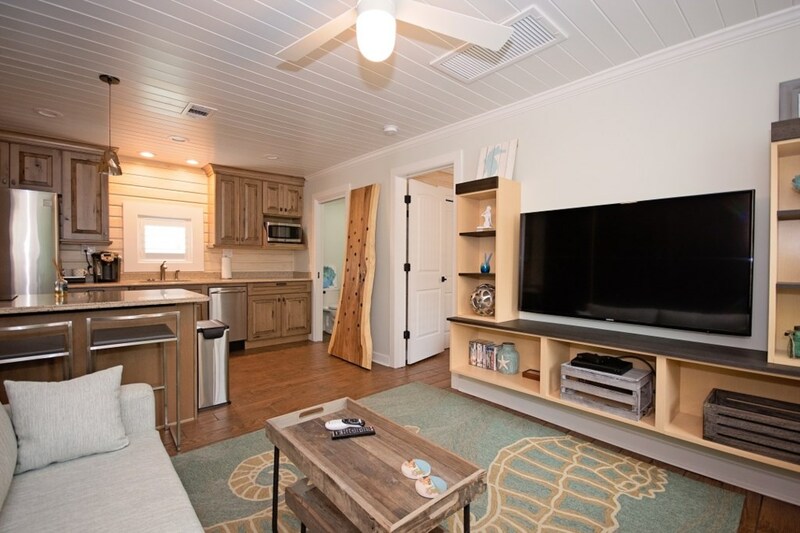 6West Beach Cottages is comprised of four one-bedroom cottages, one studio cottage, and a two-story 2 bedroom/2 bath cottage. 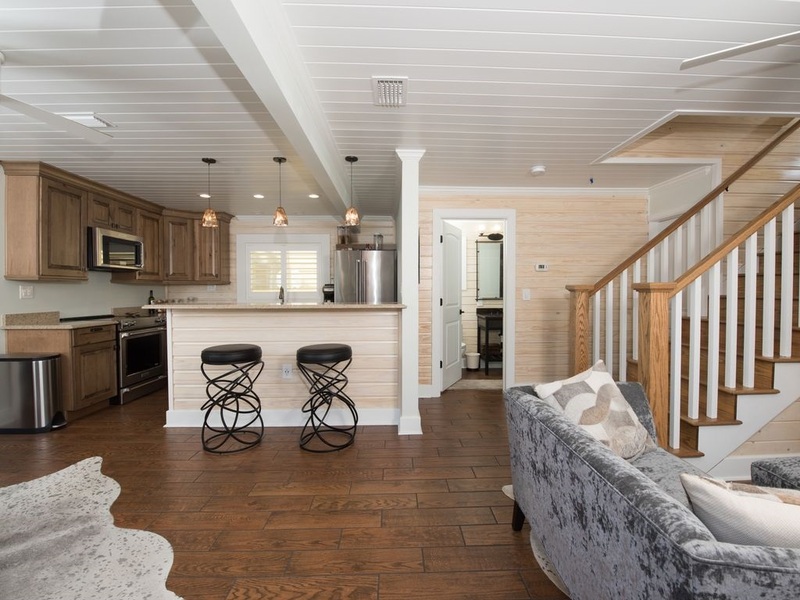 All cottages are completely furnished with kitchens offering quartz counter tops, stainless steel appliances, coffee makers, and dishes/utensils. For additional accommodations, the living rooms have comfortable queen sized Murphy beds with posturepedic mattresses. 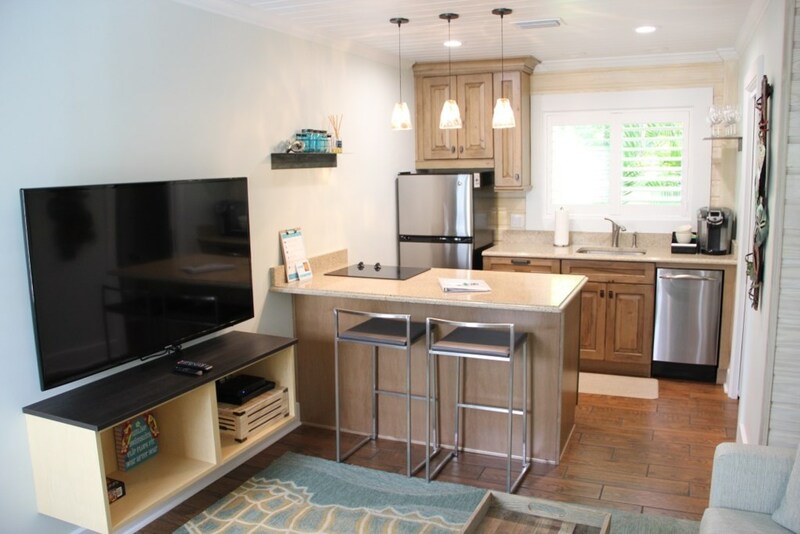 The cottages include large flat-screen TVs in all bedrooms and living rooms and wireless internet. The six cottages encircle a courtyard with lush landscaping, a gorgeous heated pool and a tiki hut to enjoy a cool one! Truly a must see to believe. Why be just a number at one of the large corporate hotels, when you can stay in a luxury cottage steps from the beach. 6West Beach Cottages is truly a diamond in the rough. Our local owners and staff will ensure that you have an incredible experience. Looking for accommodations for a wedding, family reunion, birthday party? 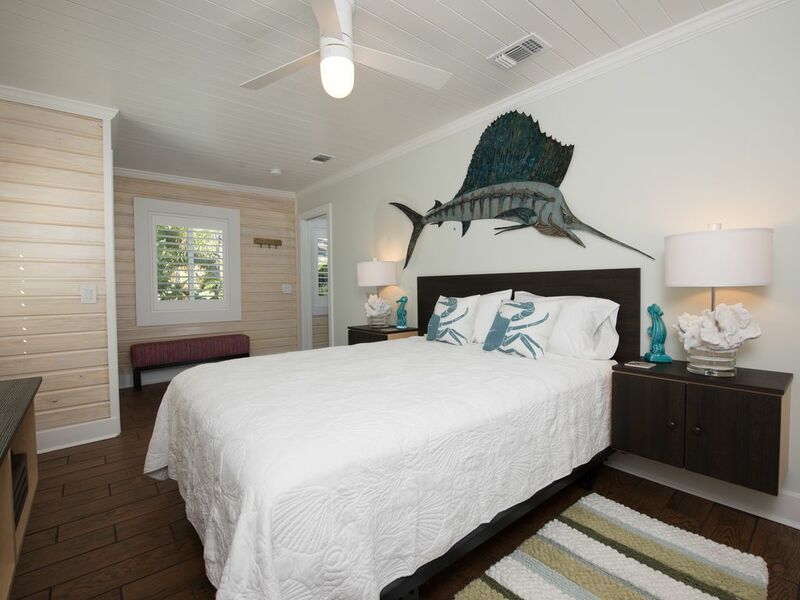 Book the entire property at 6West Beach Cottages for an ultimate relaxing and private vacation. 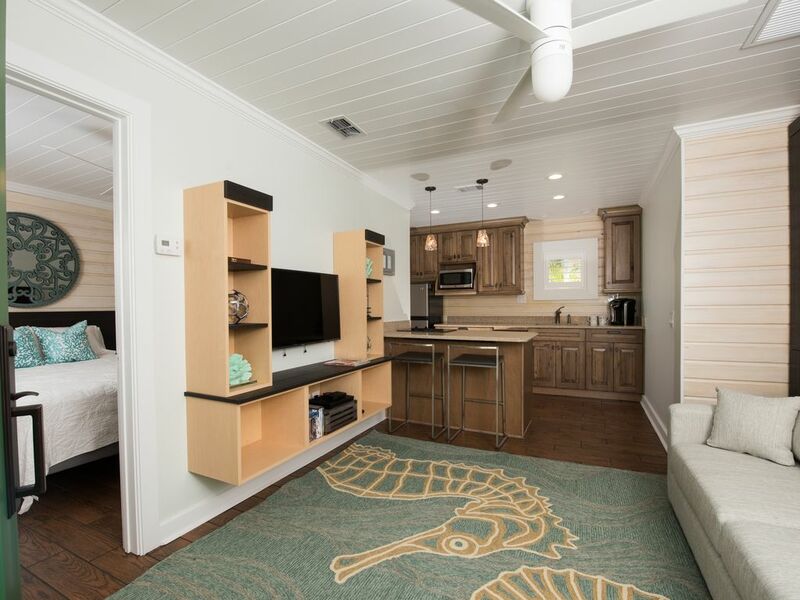 6West Beach Cottages are located within walking distance to John's Pass Village and Boardwalk, 20 minutes to St. Pete-Clearwater Airport (PIE); approximately 25 minutes to downtown St. Petersburg, Tropicana Stadium (Tampa Bay Rays) and Al Lang Stadium (Tampa Bay Rowdies); and less than an hour away from Tampa International Airport (TIA), Downtown Tampa, Ybor City, Raymond James Stadium (Tampa Bay Buccaneers), Amalie Arena (Lightning), Busch Gardens, and Hard Rock Casino and two premium outlet malls. 6West Beach Cottages sister property, Sunset Inn & Cottages, is just 4 miles down the beach, located in Treasure Island, Florida. Sunset Inn & Cottages was voted #1 on Trip Advisor!